To all those who are hesitant about having their lips done, mini lip augmentation may be the perfect solution. Mini lip augmentation involves the use of dermal fillers injected into the lips in order to make them look plumper and give them better structure. The procedure is actually a mini version of a regular lip augmentation procedure but produces a minor degree of enhancement. Mini lip augmentation is just the right treatment for all those who want to enhance lip size or just define the lip border, or improve lip symmetry by increasing the volume of the upper and/or lower lip. False Creek Skin Solution Team highly recommends a consultation before the actual procedure. This helps us and the client to determine the results we`d like to achieve, as well as to discuss the lip structure, shape and volume. (FYI – that`s why we offer a complimentary consult!) This is a great opportunity to ask questions and start feeling confident about the procedure. After that, a topical numbing cream will be applied to your lips. Once the lips are numb, we can start with a procedure. The injection is performed using a very fine needle and the downtime is minimalized. 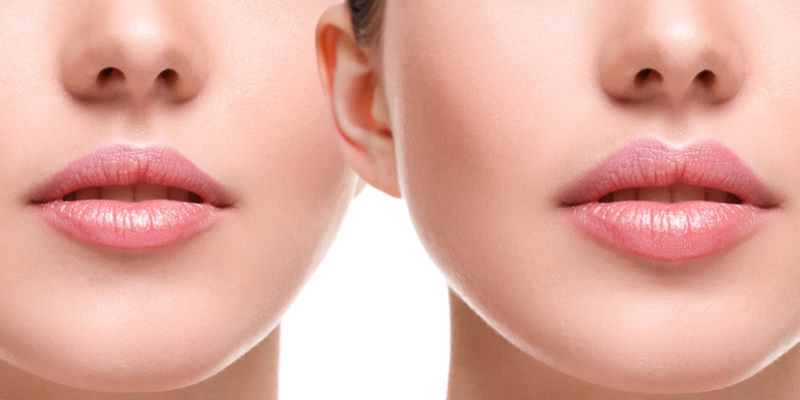 Mini lip augmentation is the safe non-surgical injection that adds natural-looking volume to your lips. It is not just about getting fuller lips. Mini lip treatment can also diminish the appearance of lines and wrinkles around your mouth. Also, it is very important to know that Teosyal and Stylage dermal fillers are safe for any skin type. The procedure itself lasts between 15 and 30 minutes. Lips look amazing right after the procedure.